Poured from a 22 oz bottle into my Libbey stemmed ale glass. 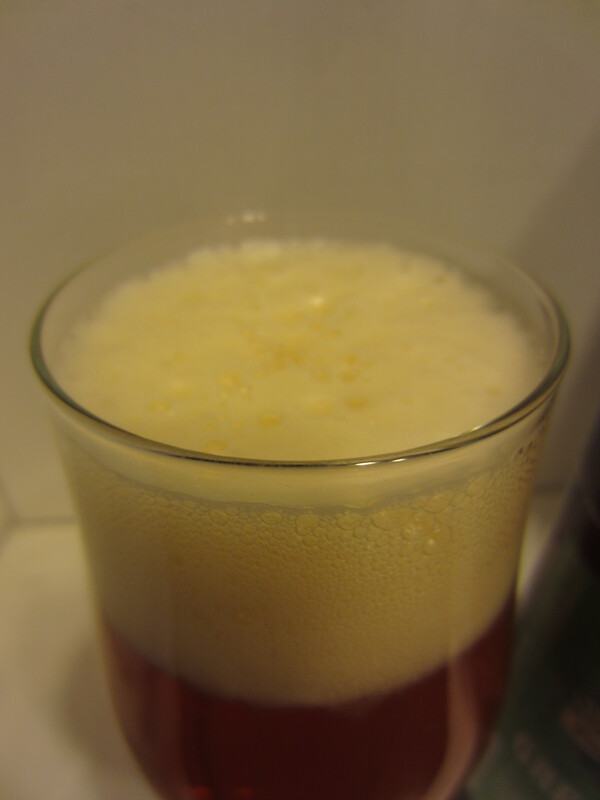 The body of the ale is mostly clear with slight haziness, honey-golden in color. 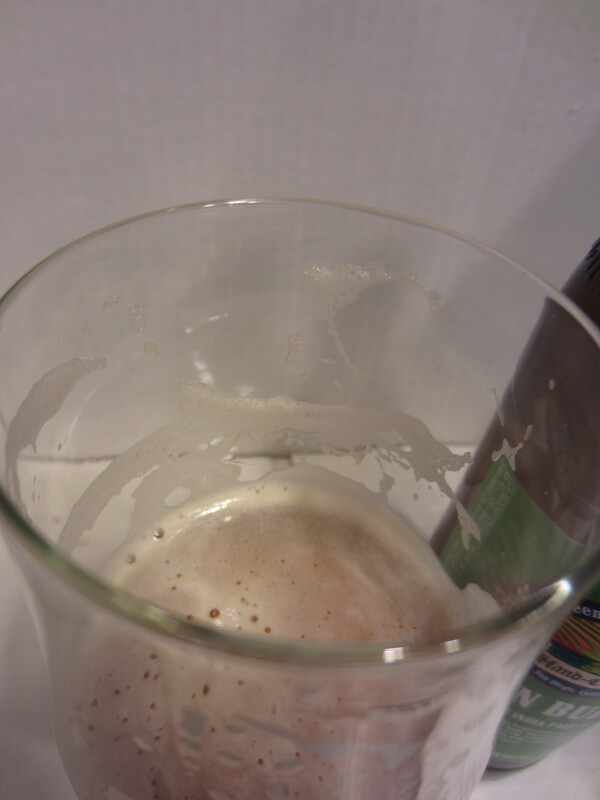 Ample carbonation can be seen in the glass. A large yellow-hued/off-white head is poured, which retains well for a 10.1% beer and leaves good lacing throughout. 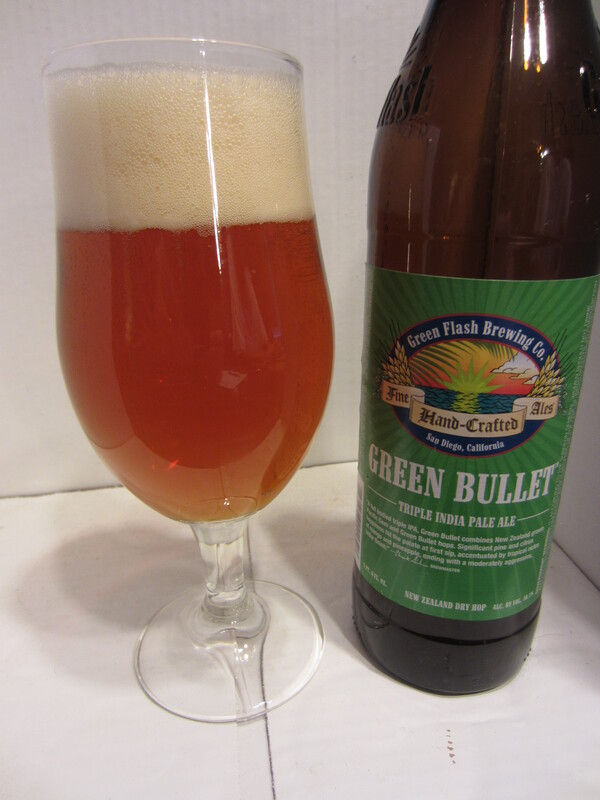 Green Bullet has a strong tropical fruit and citrus hop profile. The main aromas I detect are grapefruit and lemongrass, with undertones of pine, floral hops, and even a bit of lime. There is also a very clean sweet malt profile. Some mild dankness is also present. 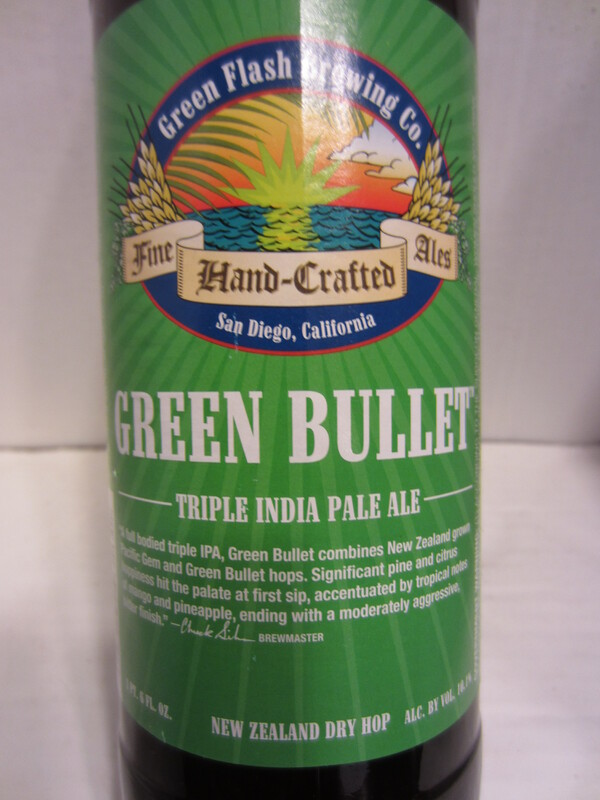 While very similar to other West Coast style big IPA’s, the hop aroma is just slightly different than anything I’ve had, which is likely attributed to the New Zealand Green Bullet hops. 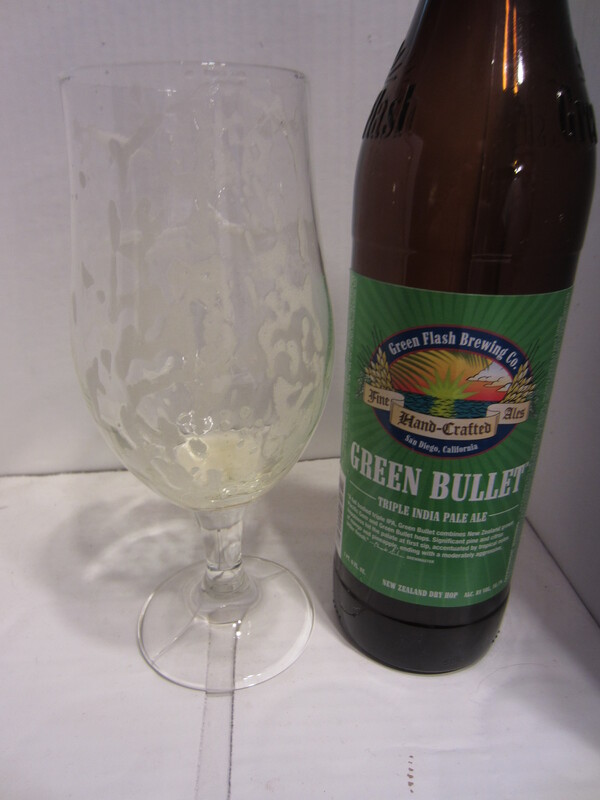 Green Bullet has a very rich body, with an incredibly smooth mouthfeel going down before giving way to a solid punch of hop bitterness. The tropical fruit aromas translate almost exactly to the flavors, and blend incredibly well with the smooth, sweet pale malt base. In fact, the beer is more balanced than it probably should be, as any “Triple” IPA should be a palate-crunching hop bomb in my opinion. Some alcohol is noticeable, right in line with where it should be for the ABV. It finishes with tropical fruit, lemongrass, lime, and pine flavors and mild bitterness that lingers in the mouth.